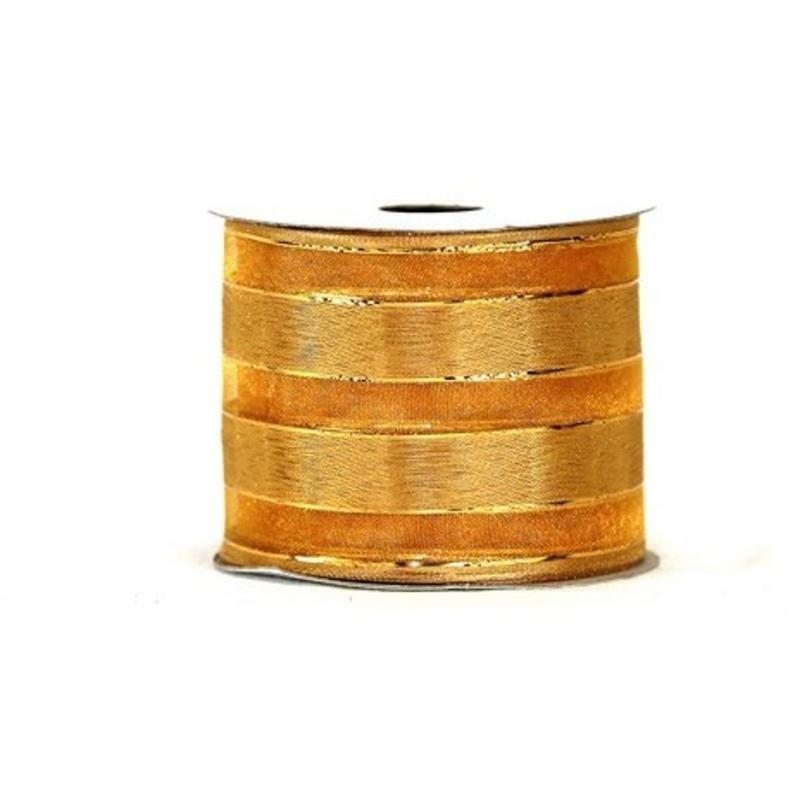 Bring some glamour to your home this holiday with this 9-metre roll of Gold Strip Woven Ribbon. 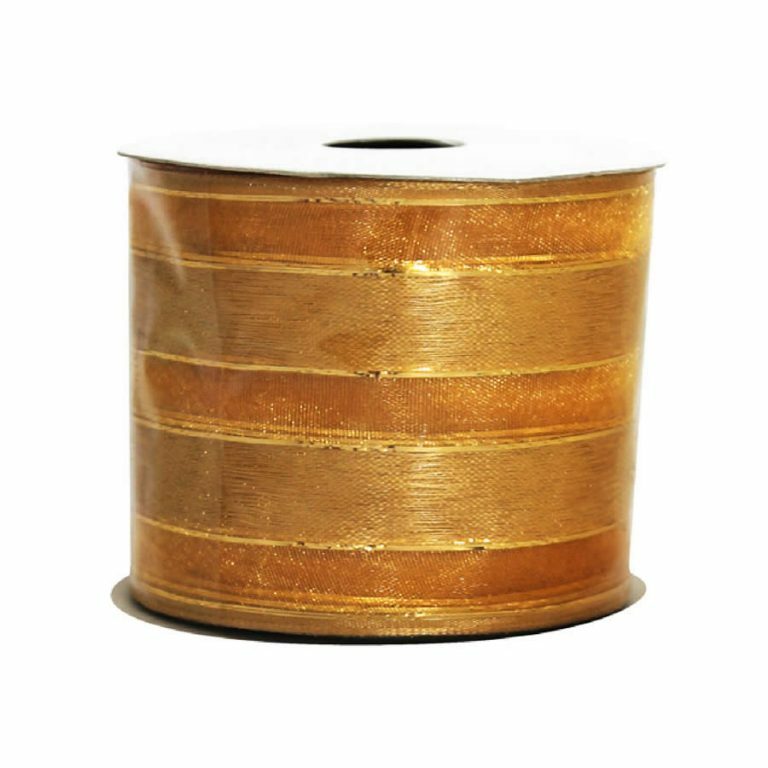 Each row contrasts nicely with the next, and the simple gold braid trim gives this 7cm wide ribbon a very polished and balanced appearance. 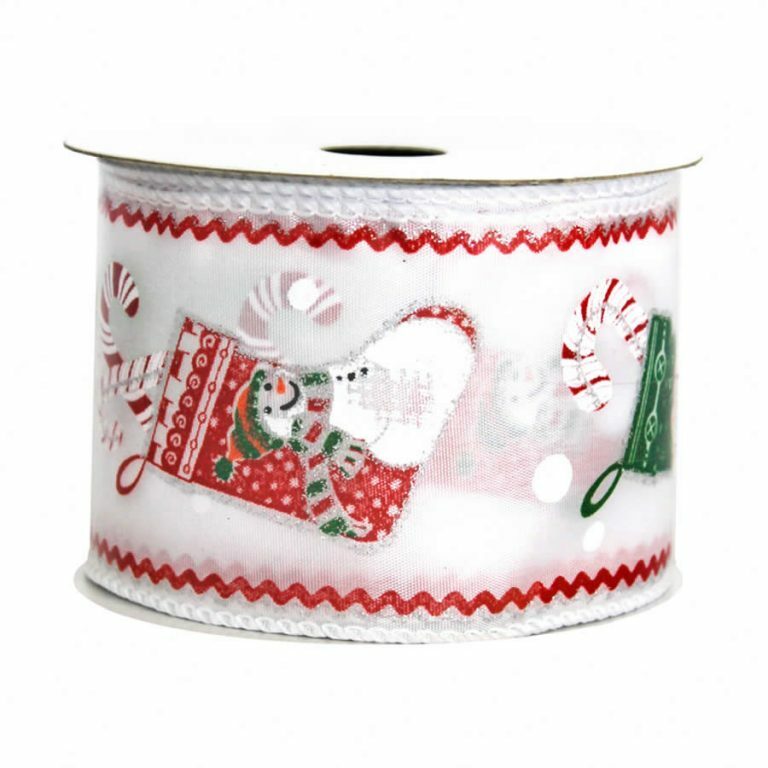 Use this ribbon when you want to add something elegant and beautiful to your creations and decor. 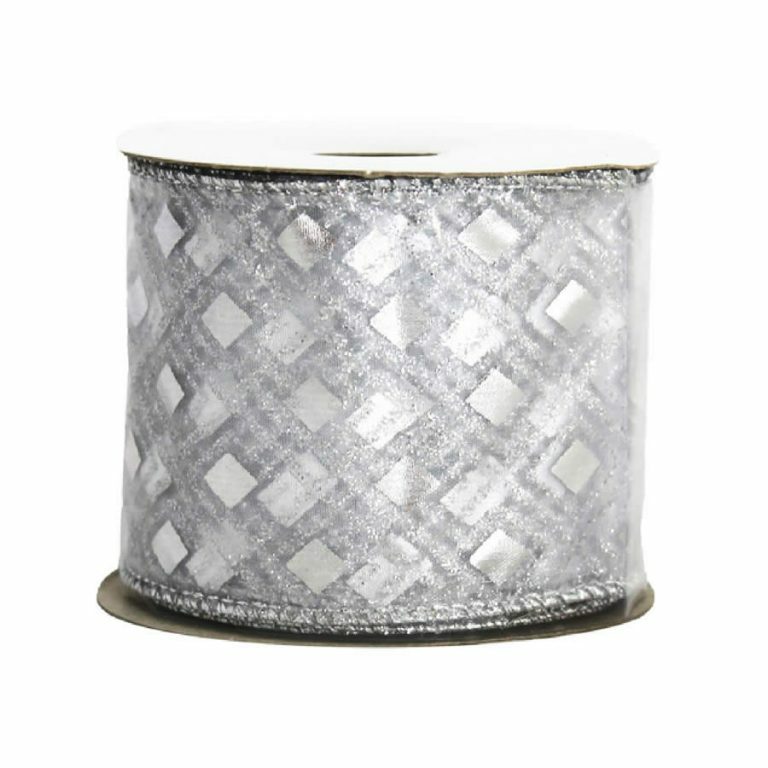 Try making your own bows with this stunning ribbon; the wire edge makes all the difference in the quality and longevity of your trims. 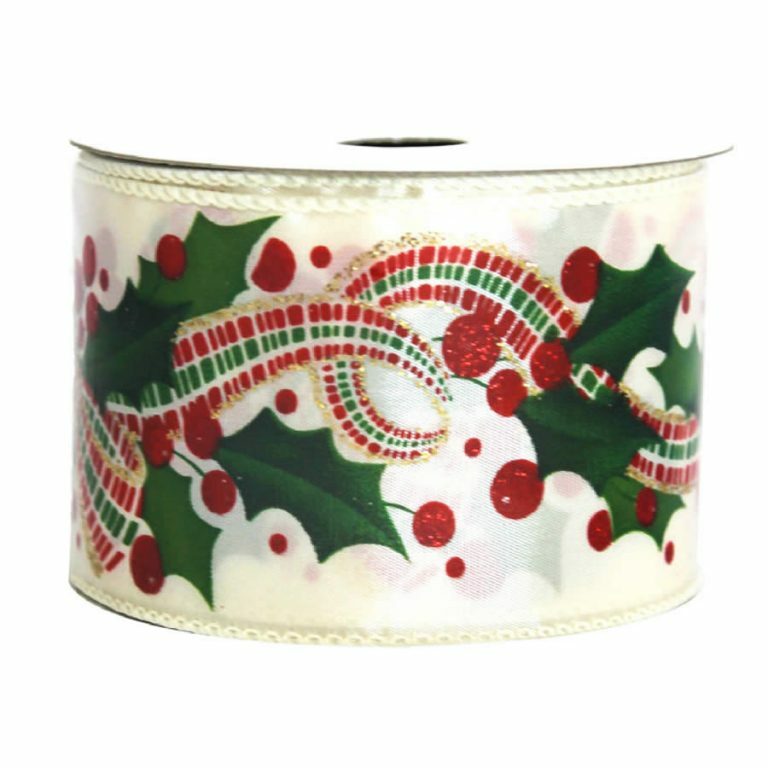 Imagine swaddling a decorated tree with a finishing touch of this high-quality ribbon. It rests nicely on the boughs of your tree and gives it a look that will make others think that you had it professionally decorated!